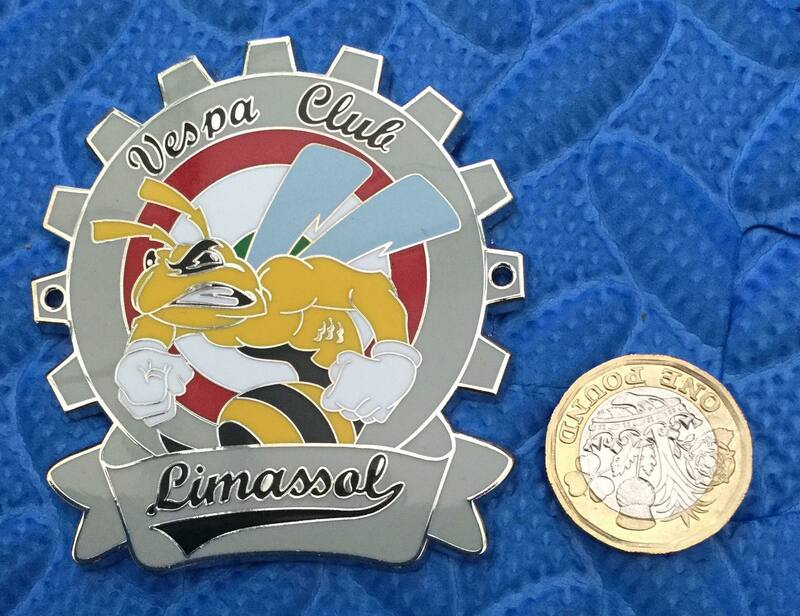 We are an expert and specialise in Vespa cog style badges, We can supply both enamel pin badges and also the larger cogs used for mounting onto the scooters. These are made from brass and enamel for longevity and to prevent rusting, please contact us with your requirement’s and for a FREE quotation. We also offer a FREE and comprehensive artwork service with every confirmed order, simply send us your design and we will do the rest for you, No hassle and No hidden costs! We offer a simple 3 step ordering process! 2. We draw artwork and send it back to you for final approval! 3. We start production (12-15 working days), Balance available on completion! At The Badgeman we can create you the perfect badges for mounting on your scooter. For the large cogs our minimum order is just 10 units, perfect for small scooter clubs or annual meets.